Say your meeting changed at the last minute, something went awry with your reservation or -- horrors -- you're traveling on your own dime. 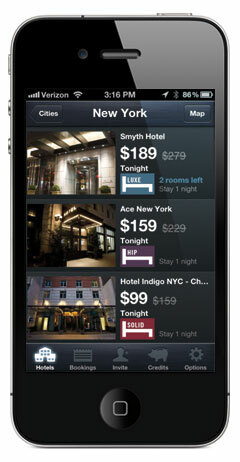 Check the app to find killer same-night deals. A recent N.Y.C. search turned up a $369 room at the Ace Hotel for $279; a $529 room at the Chateau Bourbon in New Orleans was $389 despite the NCAA championship game.